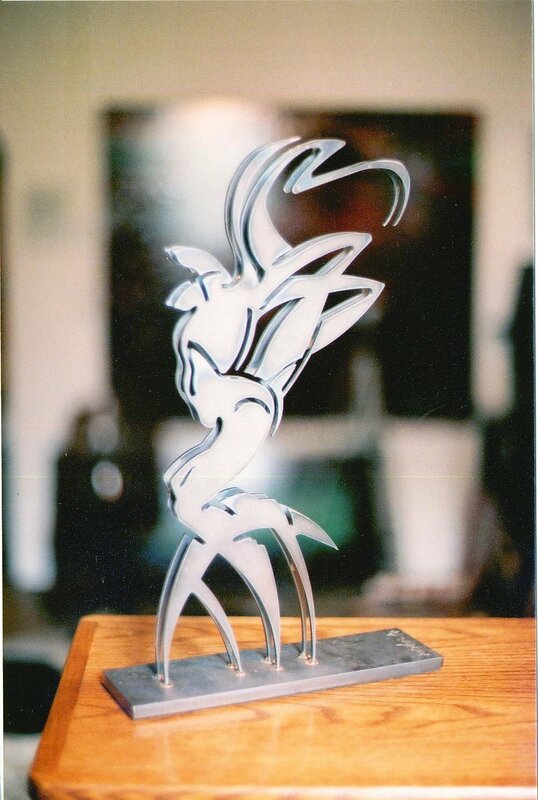 All steel sculptors are available for commission at custom sizes. To commission a sculpture, fill out the form at the bottom of this page with the sculpture name and the size requested. Estimates take up to two weeks and a 50% down payment is required. To purchase a sculpture fill out the form below and someone will contact you with pricing information.